Whether you love to travel on a budget, go into a culinary journey, or discover dynamic cities, I highly recommend visiting Hanoi! The bustling capital of Vietnam is guaranteed to impress you. 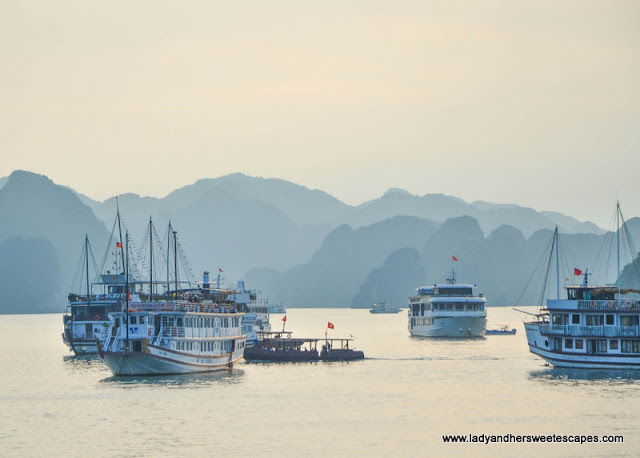 Spending three to four days in Hanoi will allow you to visit the top attractions, go on a food hunt, and take a short trip to Halong Bay. But mind you, this quick visit will leave you wanting for more! It is actually one of the few cities I wouldn't mind getting lost at for a week or two! Here are some travel tips, sample itinerary and budget guide to help you plan for your trip! 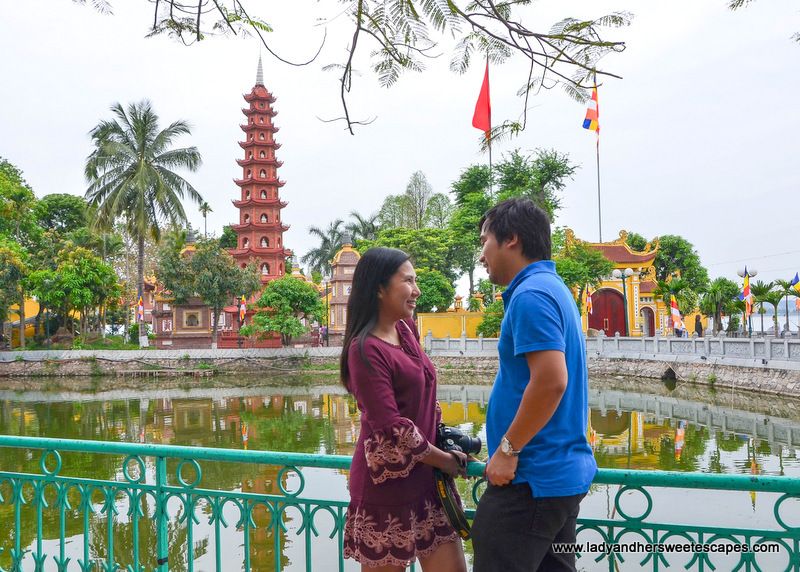 Philippine Passport holders can travel to Vietnam visa-free for a maximum of 21 days. You just need to bring your passport! Vietnam's currency is called Vietnamese Dong. 1 USD is currently equivalent to around 22,700 VND. Important note: There are plenty of currency exchange counters in Hanoi. Just make sure your US Dollar notes are intact. Based on our experience, our money with a small rip in the center was not accepted although it was not severely damaged. When handling Vietnamese Dong, make sure to check for damages as well. We didn't notice that one of the 500,000 VND notes we got from the currency exchange has a cut on the edge where the serial number is. It was not accepted in a restaurant. For a while, we thought we were scammed, but when we returned the damaged note, the staff replaced it without further ado. Credit card is also accepted in hotels and some establishments, but it is best to keep Vietnamese Dong in your pocket for street stalls and budget restaurants. Locals speak Vietnamese. Most hotel and restaurant staff can speak English, and we didn't encounter any problem in terms of communication. It is good to know a few Vietnamese phrases like Xin Chao for Hello, Xin Cam On for Thank you, but not really necessary. Vietnam is tropical country with dry and rainy seasons. Hanoi, in particular, has four seasons because of its geographic location. Winter season starts from December and lasts until late February. Spring is from February to April. Summer is typically from May to August. Fall is from September to end of November. Make sure to check the weather before packing your clothes because Hanoi can't be quite chilly during Spring, Fall and Winter. We traveled end of Spring, and the weather was perfect; cold breeze, no rain and a little sunshine. Light clothes (t-shirts and shorts) will do for summer. For cooler months, pack a light jacket and a shawl. My denim jacket worked wonders during chilly mornings and evenings! We also brought an umbrella just in case it rains. 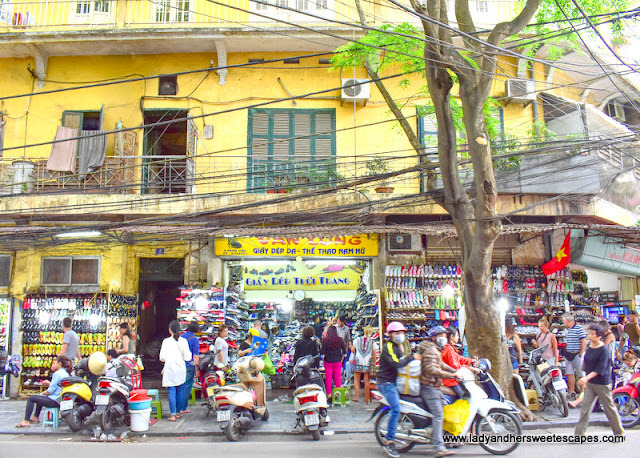 For electric plugs, sockets in Hanoi usually take flat or round two-pronged plugs. It is best to invest in a good-quality universal adapter as it always comes in handy wherever you go! From Noi Bai International Airport: You can catch an Express Bus or Public Bus with Old Quarter route outside the airport terminal. Taxi is also available, but you have to negotiate the price with the driver. For convenience and to avoid taxi scams, we booked airport transfers with HTS - a reliable transport service in Hanoi. We paid 16 USD for pick up and 12 USD for drop off. 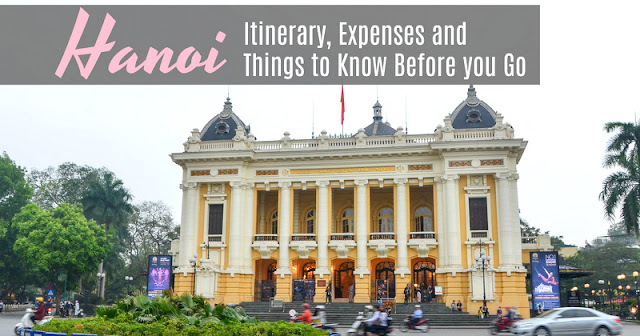 Getting Around Hanoi: Most attractions are within Hoan Kiem district; hence you can easily walk from your Old Quarter or French Quarter accommodation. For long distance travel, you can ask the hotel staff to book a reputable taxi for you. They usually recommend Mai Linh Taxi. But for us, we found Uber as the best option as it is safe, convenient and reasonably priced! We simply connect to a free WiFi around the area and book through the app! Hoan Kiem Distrist is a good base for travelers as it is where the action is. For a guide on choosing your accommodation, check out my blogpost: Where to stay in Hanoi: Old Quarter or French Quarter? 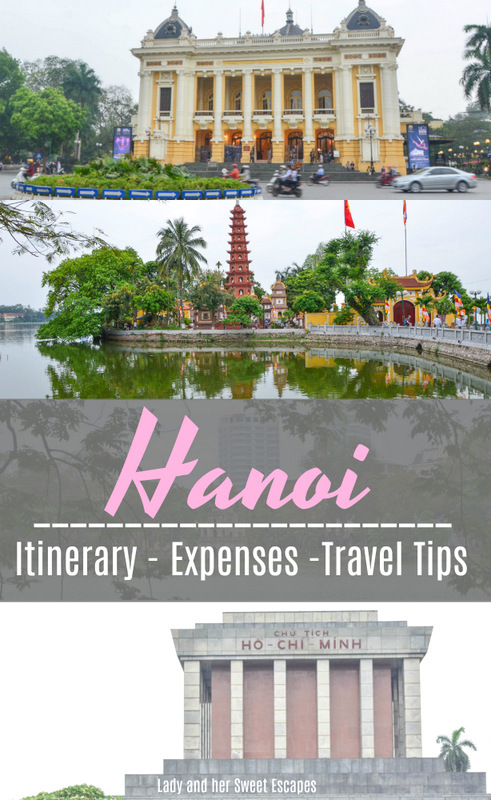 There are a lot of things to do and places to see in Hanoi. 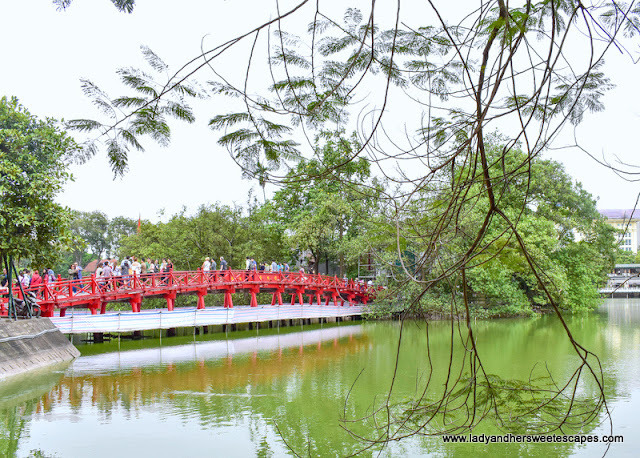 Top activities for travelers include visiting Vietnamese shrines and temples, wandering around the Old Quarter, and relaxing along the natural lakes. 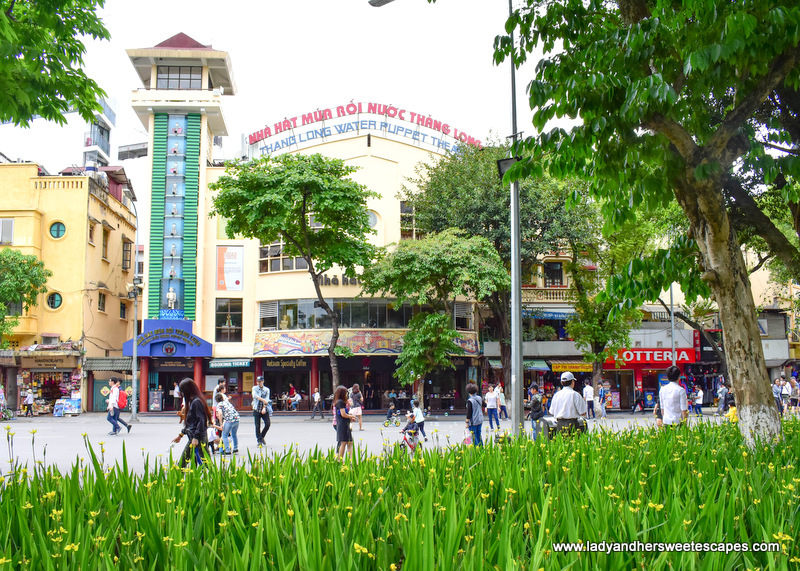 Read 10 Places You Can't Miss in Hanoi for a detailed guide. In between your stay in Hanoi, you can also squeeze in a trip to Halong Bay! 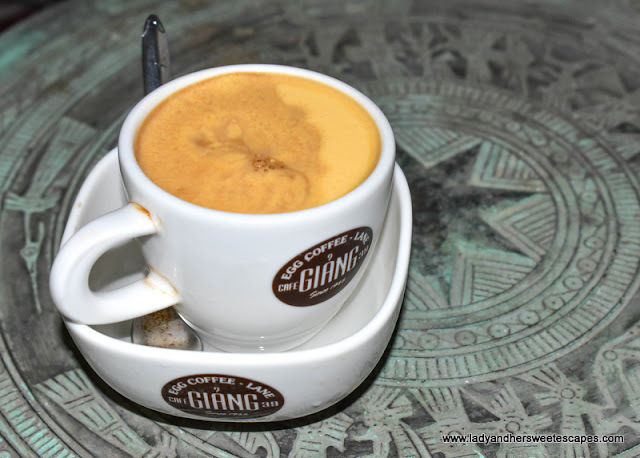 Hanoi is a great travel destination for foodies. Vietnamese cuisine is delicious, friendly to the taste buds, and typically cheap! Not to be missed are local specialties: Pho, Bun Cha, Ca Phe Trung or egg coffee and Trang Tien ice cream. Read 7 Foodie Spots to Love in Hanoi for budget-friendly restaurants, romantic dining venue and lounge with a view. Complimentary Stay which I won at @joycaasi’s Instagram Giveaway. Back to French Quarter via Uber. Hotel check-out. Glad you enjoyed Hanoi! Thinking of visiting Ho Chi Minh or Hanoi next year too for the Vietnamese food haha! Yay for Vietnamese Food! I already miss the authentic pho and bahn mi!